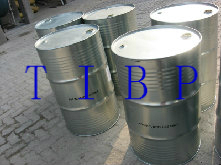 Isobutyl phosphate tax - ZhangJia Gang YaRui Chemical Co., Ltd. According to the Chinese export tax rebate advisory network provided data, can identify Isobutyl phosphate tax. The Isobutyl phosphate tax is 9%, and I hope to help you. If Isobutyl phosphate tax product is not what you want, we can be customized according to your needs, please send us your order to Email: sales@yaruichem.com , or click here to post your buying lead.